Remember peanut butter sandwiches from when you were a kid? I do. They were my absolutely favorite. Even now, there is just something about a good peanut butter sandwich. I’ve never been a jelly girl though so I always look for other things to put on my sandwiches. That was how I discovered the incredible taste of peanut butter and nutella together. Awhile back, I mixed it with bananas on a pizza and was in love. 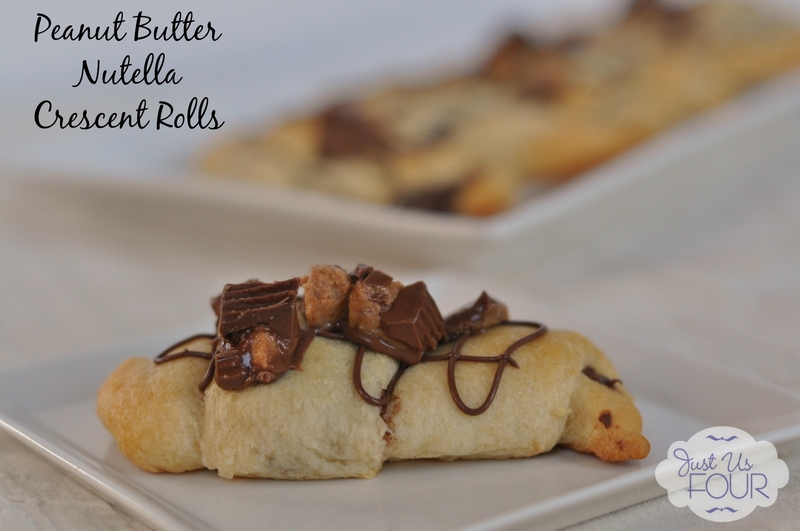 But, over the weekend, I decided to make peanut butter nutella crescent rolls and Pillsbury might have a crescent roll shortage coming up because I will be buying them all the time to make these rolls! These take about 20 minutes to make from start to finish and are worth every minute! 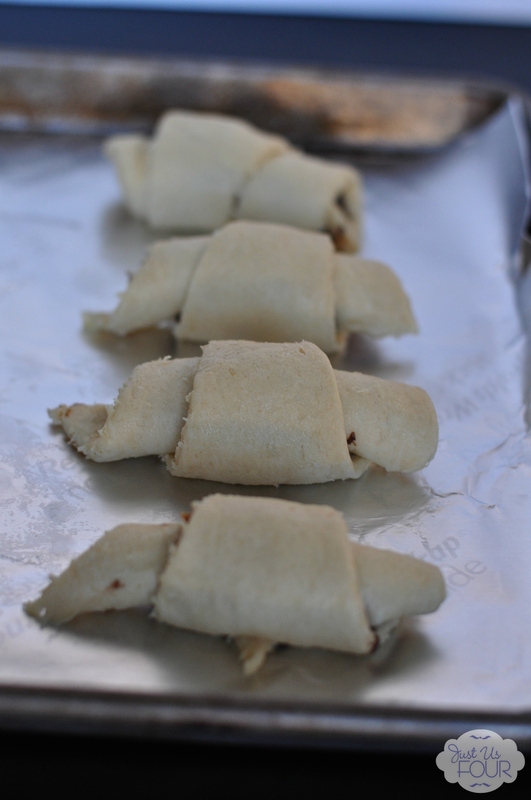 2) Unroll crescent roll dough and separate into individual triangles. 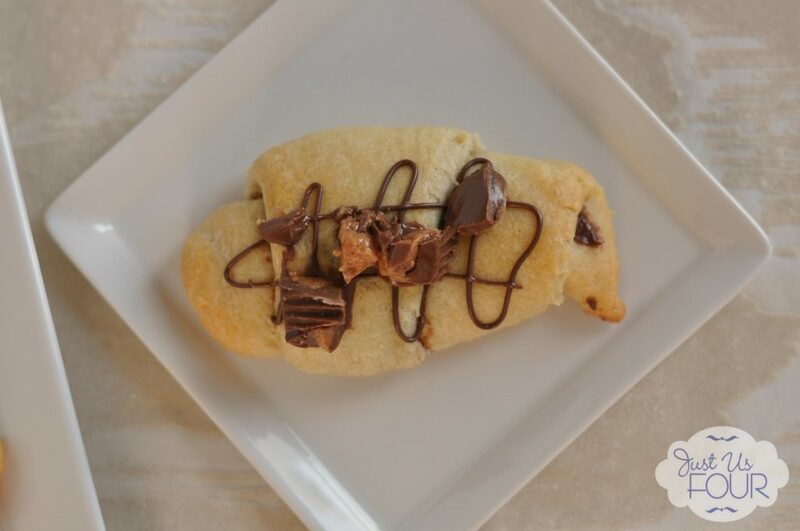 Spread a thin layer of Nutella on top of the crescent rolls. 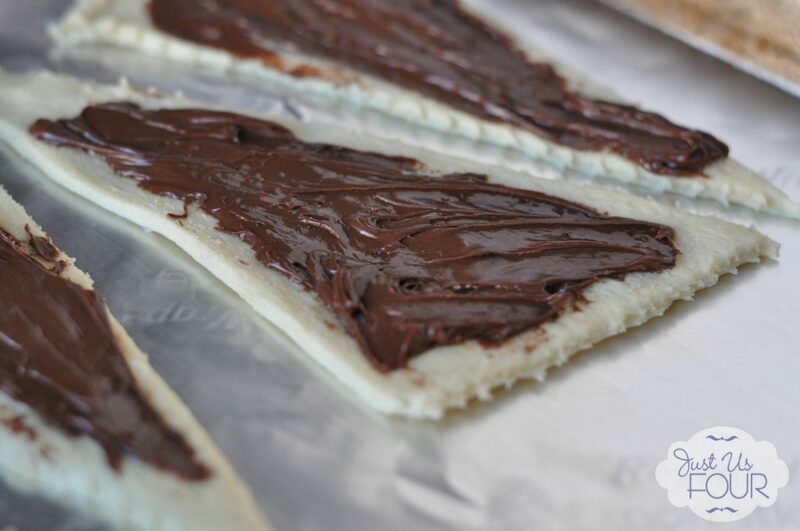 Add a thin layer of peanut butter on top of the Nutella. 3) Roll the crescent rolls starting at the wide end and rolling towards the pointed end. Place on an ungreased baking sheet. 4) Bake in preheated oven for 8-10 minutes or until done. 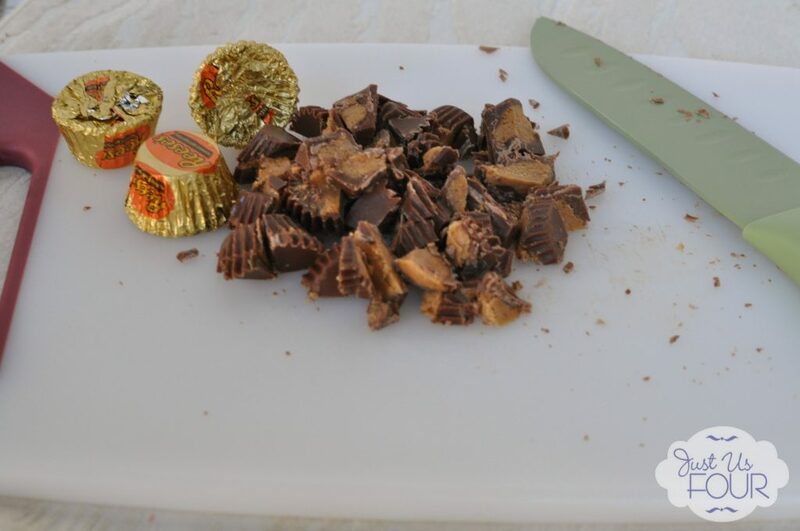 Remove from oven and top with nutella drizzle and chopped Reese’s cups. What is your favorite thing to pair with peanut butter? 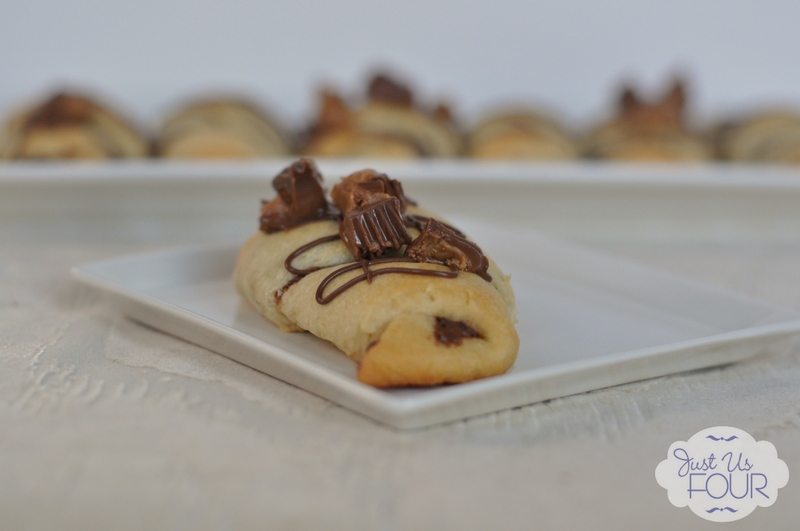 Do you use crescent rolls in baking as well as for a bread side? 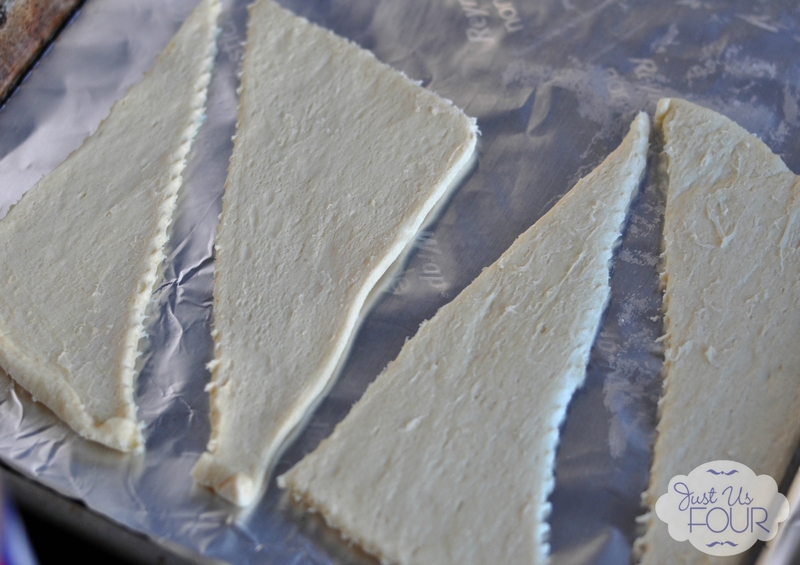 Unroll crescent roll dough and separate into individual triangles. 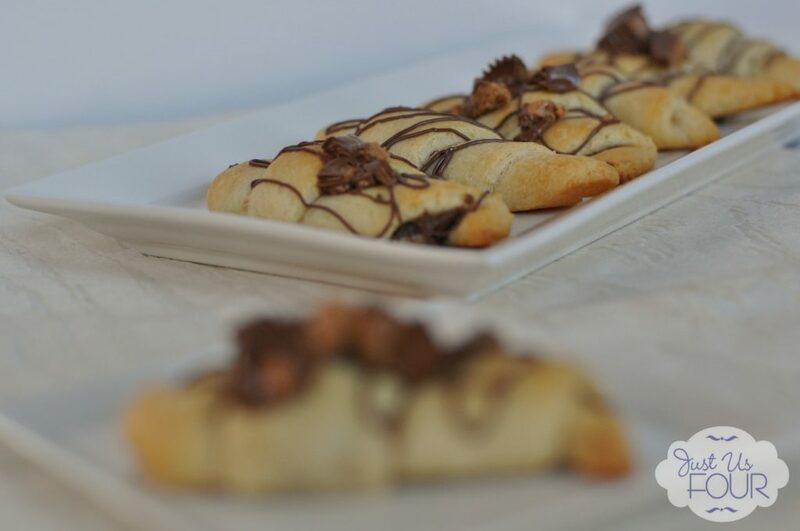 Spread a thin layer of Nutella on top of the crescent rolls. 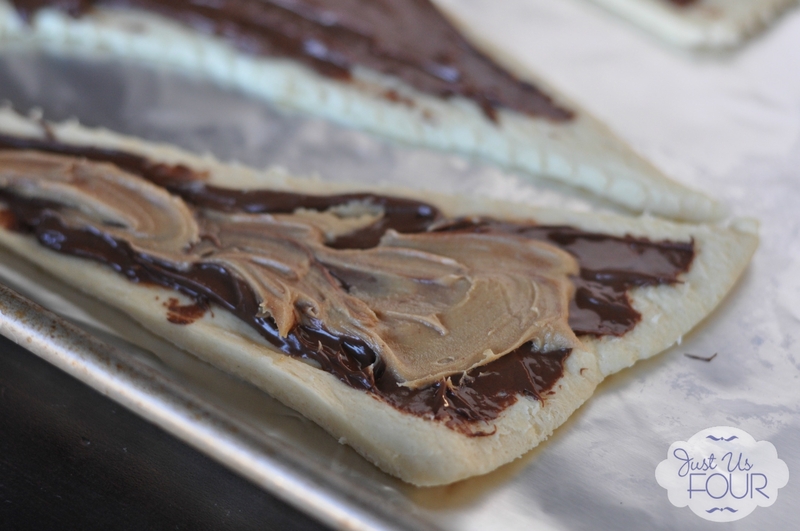 Add a thin layer of peanut butter on top of the Nutella. Roll the crescent rolls starting at the wide end and rolling towards the pointed end. Place on ungreased baking sheet. Bake in preheated oven for 8-10 minutes or until done. 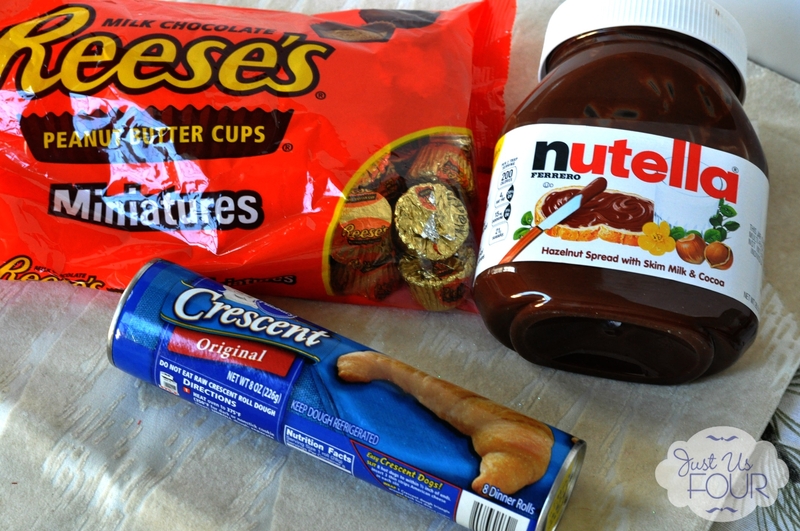 Remove from oven and top with Nutella drizzle and chopped Reese's cups. I don’t think life gets any better than peanut butter and chocolate 🙂 The rolls look downright heavenly! I have to agree with you. Peanut butter and chocolate together are my all time weakness. I have to stop reading your blog or I’m never going to meet my goal for 2014 to lose weight. These look good enough for me to want to go to the store today and buy the stuff to make them. Thanks so much for sharing them today on the Daily Blog Boost! Oh love this! We just recently bought a 5 pack of crescent rolls and have been wondering what to do with them. Well now I know! 🙂 Pinning and stopping by from the DBB. You’ve been featured this morning in our National Peanut Butter Lover’s Day roundup over at OurMiniFamily.com!